We understand family disputes are almost always stressful, traumatic and anxiety filled times for the parties involved. It is our role in such situations is to provide our clients with guidance, support and practical advice and effective legal representation to protect our clients or assert their legal rights. Our firm has the depth of experience and knowledge to assist and guide our clients through these often difficult and fraught times. We are also able to assist in this process by providing access to alternative dispute resolution and counselling services where these are required by our clients. 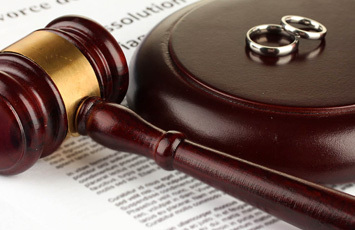 The approach we adopt in family law matters is that litigation is a means of last resort and, where possible, every opportunity should be explored to negotiate amicable and workable agreements between the parties. However, litigation is sometimes unfortunately necessary. Where these situations arise we a position to provide our clients with strong legal representation to assert their rights and protect their interests in Courts of all jurisdictions in Ireland whether the District Court, Circuit Court or the High Court. Free initial consultations to discuss family law matters to see whether we can be of assistance can be made by simply contacting us to make appointment. There is some flexibility in this appointment times to fit in with busy work and family commitments.